On the Monarch numbers front, yesterday was a very good day (387 Monarchs/hour). The beginnings of several roosts in the neighborhood around the Point were observed around 4:30 pm. 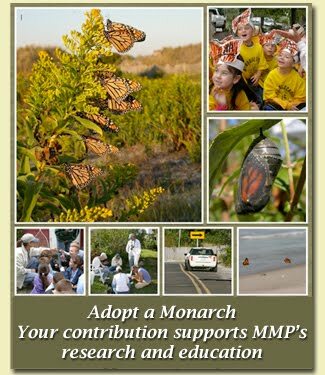 You can now check out the day's Monarchs per hour rate at our website, MMP Data Page, which will be updated by approximately 6 pm EST daily.